エビ Pakoras and ナス カレー. One of the dinners I cooked recently. 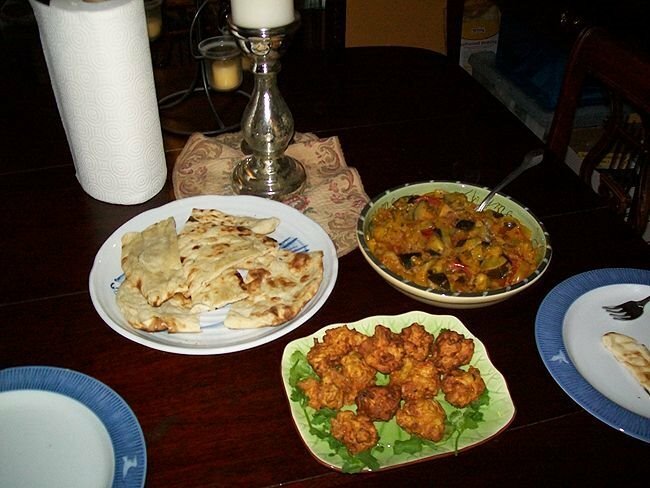 Wallpaper and background images in the Indian 食 club tagged: shrimp curry eggplant indian food pakoras. This Indian 食 photo contains 七面鳥の夕食, トルコ夕食, 七面鳥料理, 休日の夕食, and ディナー. There might also be 前菜, ビーフストロガノフ, and オードブル.